Soft seating cape town creates a welcoming reception or breakout environment with our top quality soft seating solutions for all workplace sizes. View our collection of first class ,premium soft seating incorporating sofas, arm chairs & modular benching perfect for your office interior design furnishings. Our soft seating cape town and breakout furniture have been tailor made with the highest quality components. Made with the latest manufacturing techniques, our soft seats and breakout ranges are highly affordable and durable. Different sizes and colours are available to enhance your reception area or office space with a high standard of style and comfort to ensure that you keep up with the latest trends in office furniture. Discover all our reception seating Cape Town and break out ranges for reception and office usage. First impressions counts in a working environment and our waiting room sofa's and breakout range will impress your office visitors and bring about an inspirational atmosphere in the workplace. Choose from a wide range of sizes and shapes of sofas's and couches products, we have made provision for different types of industries in our soft seating selection that we sell. Whether you are a restaurant, tourism centre, guest house, hotel or an industrial office, factory, corporate organisation, training facility we have the best soft seating and breakout range for you .The available colours are sure to meet any interior space design that you might have in mind.We also assist interior designers to help their customers revamp their workspace without breaking their bank account. We at The William Office Furniture we understand style and comfort when it comes to seating solutions but most importantly we also understand the important role that professional service and affordability play in helping businesses like yours to strive regardless of the economic climate that keeps on changes from time to time.Yes, our soft seating and break out ranges come at affordable prices and we cater for all markets in the corporate and small business world. Buying Office furniture cape town has been made easy with The William Office Furniture and we keep on updating our office furniture range with the latest trends that become available in the market.When you do your office furniture shopping at The William Office Furniture you are always guaranteed to find something you like at an affordable price.No need to go from one store to another as we have all the office furniture that you might need.From Reception, Admin desks, Managerial desks, executives desks to boardroom tables, filing, workstations, coffee tables, reticureticulation, seating ranges including our trendy soft seating and breakout ranges. Contact us today for a friendly service and a wonderful office furniture shopping experience at The William Office Furniture. Take advantage of our low prices and explore the best quality office furniture in town. First impressions happen to be the most important impression and even the most lasting one in many cases, and especially in businesses. When you enter an office the very first impression about the business and the company is created from the reception area, its, décor, furnishing, stylizing and overall appearance and presentation. Today the world of business revolves around branding, where everyone is racing with an aim of establishing their aim, integration of designing of furniture in accordance with business brand has evolved as one of the latest trends. As a professional and expert office furnishing manufacturer, we understand the need of the hour, and offer you enhanced collection of reception seating furniture including a wide variety of chairs, sofas, recliners etc apt for complementing your company’s brand value and to create that first targeting impression. Enhance the productivity of the entire office by offering proper guidance, direction, help and welcome to everyone, from staffs to visitors. Create a positive aura and impression in viewers mind. Improve your company’s customer service. Since every corporate house or office may not have similar type of reception area, or availability of adequate s[pace it depends upon the selection of furnishing to a great extent how you can enhance the reception area utility, space management, guest seating scopes etc. When you are designing a reception area, one of the prime importance is given to the seating area, since every business wants to make their guests feel comfortable. 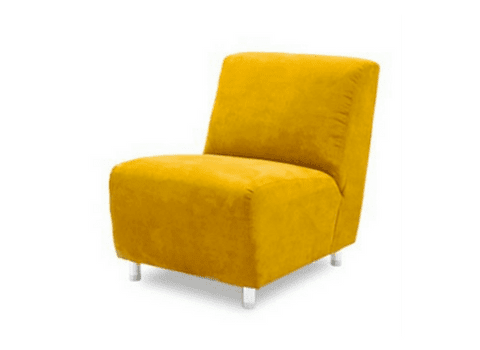 Therefore the type of soft seating style you choose for your office as per the available space and scope of the interior decor is very essential in improving your overall market impression, guest handling, customer service, etc. Tony seating, smart seating, Ryan seating, Franco style seats or club seats are some of the interior designer’s favorite picks from professional office furnishing houses.